… I definitely am. 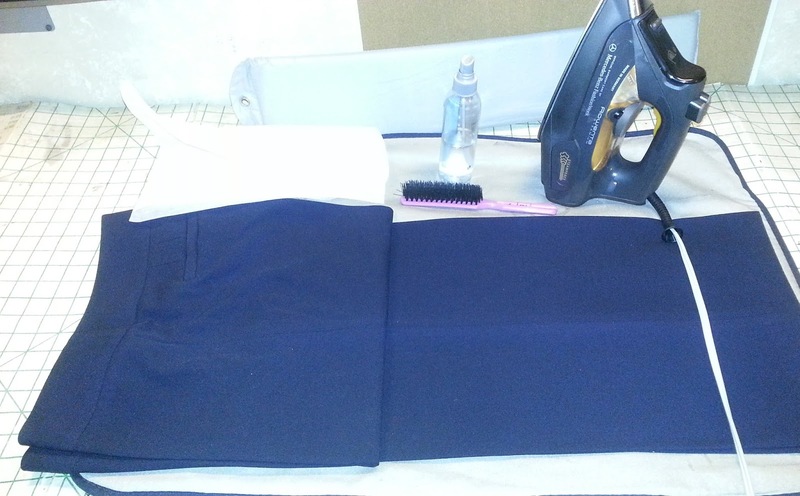 There is barely a day that goes by that I do not iron a garment, even on the weekend because most likely I am sewing. There are some meditative qualities about it, such as the repetitive movement, the hiss of steam and most importantly the disappearance of wrinkles and I walk away feeling as steam cleaned as my clothes. Sometimes the ironing pad is swapped for the mini ironing board and there you see Ms. Squirty still hanging around. When all else fail, I pull out the big gun ... the Tobi steamer and have metal tongs to help me hold the fabric... I am that serious about my ironing. 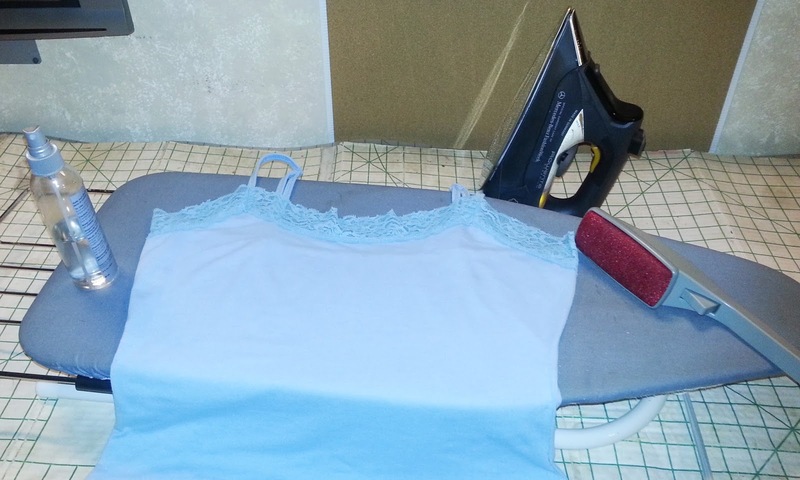 My standard ironing board is used primarily for ironing fabric and to make that less time consuming, (yes, you heard the pressmatrix right... there are some things that I like to rush through), I have aluminum foil sandwiched between my ironing covers. Somewhere and some time ago, I learned that the foil reflects heat and you are basically ironing from two sides and it definitely speeds the process along. 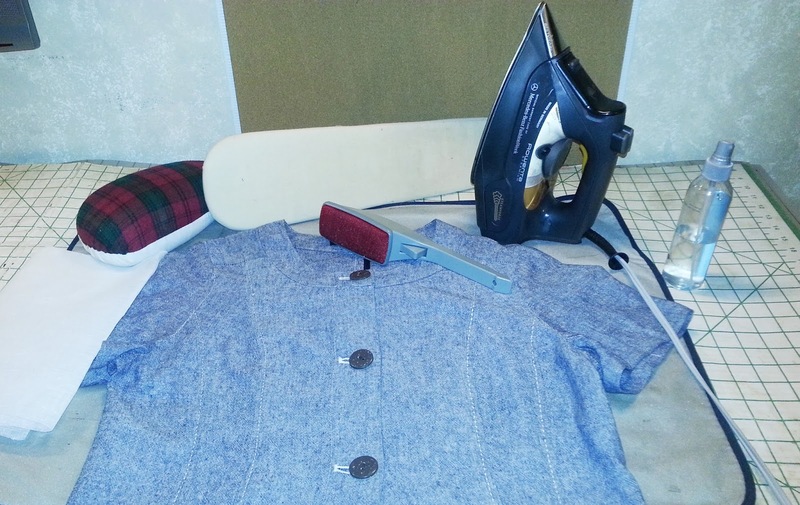 Wrinkle Releaser: old spray bottle, 1 cup of water for every tsp of fabric softner, shake well and done. So are you a Pressmatrix? If so, what are your favorite tools. If not what techniques do you use. I am a pressmatrix. LOL! too funny. Thanks for the recipes. Ooh - I have that Tobi! Dean's mother gave it to him for his birthday and he tossed it in his closet, so I snagged it! Thanks for the foil tip. 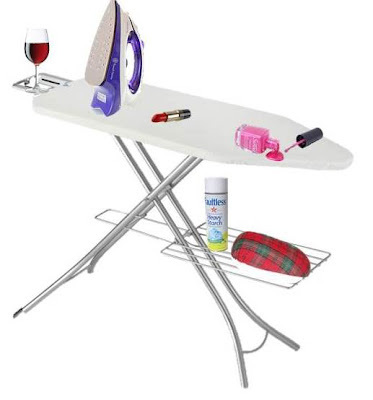 Thanks for the ironing tips I plan to implement these immediately. HAHAHAH yep! I am a pressmatrix. Thanks for the recipe for "wrinkle release", I will have to try it. Hi Alethia and you are welcome. Hi Sister and you're welcome. I must admit, the pole on my Tobi became wonky. Guessing too many garments hanging from it. However, my guy replaced it with a steel pole and its perfect. Hi Opal, Rowentas are awesome, I received mine as a gift from a fabulous sewing diva and love it. Hi Belinda and you are welcome. Hi Meigan and you're welcome. Yes aluminum foil. My guy purchased the heavy duty foil. Hi Theresa and you are welcome. Oh yea, I am definitely one! It's almost an addiction! Thanks for the tips Sheila! I'm not, but I should be. Probably comes from all the ironing I did as a child.